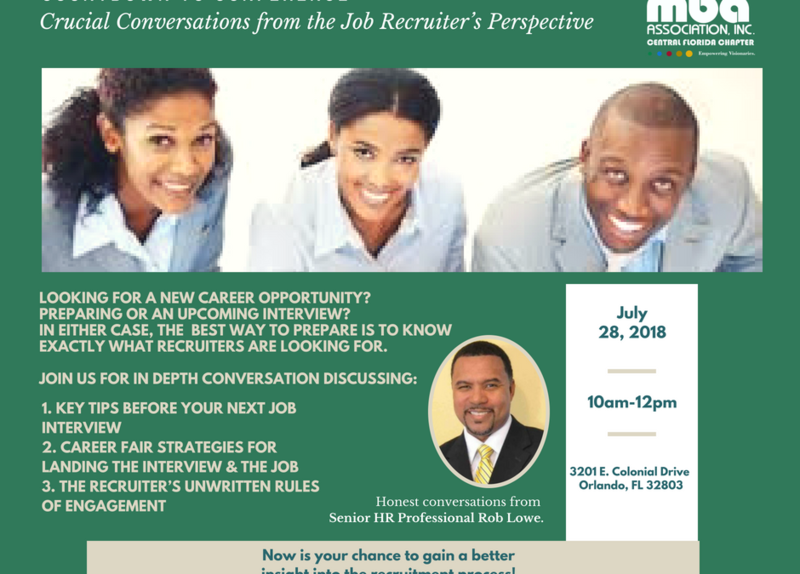 Please join is for honest conversations with Senior HR Professional Rob Lowe as he shares key tips you should know prior to the interview. Robert (Rob) Lowe is the Director of Human Resources and Corporate Talent Acquisition for JBT Aerotech based in Orlando, FL after joining the Company in August 2017. In his current role, he leads the HR function for JBT AeroTech globally which has operations in North American, Europe, and Asia and he also heads up Corporate Talent Acquisition. With over 20 years of experience, Rob will share key strategies for landing the interview and job of your dreams! Whether you are a college student, in the early stages of your career, or a seasoned professional, or goal is to provide you an arsenal of information of today’s recruiting trends. This is also a wonderful time to Mix and Mingle with your fellow chapter members, don’t miss out!